Review and evaluate this Policy and these Procedures on a regular basis. The welfare of children is the Club's primary concern. All children, whatever their age, culture, disability, gender, language, racial origin, socio-economic status, religious belief and/or sexual identity have the right to protection from abuse. It is every member’s responsibility to report any concerns about abuse, to the child protection officer (see below). It is the Swimming Club's responsibility to liaise with Swim Wales and act where necessary after taking advice from Swim Wales, social and/or the Police. It is the responsibility of the Swim Wales and these agencies to conduct, where appropriate, a joint investigation. All incidents of alleged poor practice, misconduct and abuse will be taken seriously and responded to swiftly and appropriately. The Club has a responsibility to maintain confidentiality in all cases involving child welfare in line with current legislation. All personal data will be processed in accordance with the Data Protection Act 1998. Our Child Protection Policy and Procedures are regularly monitored and reviewed. We will adopt changes in accordance with new legislation and guidance on the welfare of children from Swim Wales. ​We will immediately review our Policy and Procedures following any issues or concerns raised about the welfare of children within the Swimming Squad. We will also complete a review in all other circumstances at least annually. RCT Performance Swim Squad’s Child Welfare Officer is Sam Pitt. 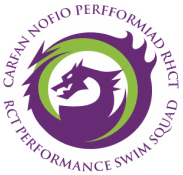 Sam's role as Child Welfare Officer for RCT Performance Swim Squad is to provide advice and guidance to all members and Officers of the Squad in all matters relating to the safety and welfare of children. It also involves liaising with the various Governing Bodies and Agencies, relating to all matters of Child Protection & Welfare. Sam should be your first point of contact if you have any questions regarding child welfare or you wish to report your concerns. or she is also usually available at the leisure centre most days that age group squad are training.